Dentist’s office Švajhler offers highly specialized dental services with a wholesome approach to all areas of dentistry. Knowledge combined with experience, skill, and new dental medicine technologies, as well as the use of top quality materials, makes it possible for us to offer you top quality care of your teeth. Our experience dates back to 1994. Through high quality work and cordial, but also respectful approach, we try to offer our patients a complete dental service, including aesthetic and restorative, prosthetic, oral surgery, implantology, periodontology, and orthodontic procedures. Expect a family-like atmosphere with not exclusively radical approach to the problem, but rather one that is oriented towards the highest possible degree of keeping the existing teeth and their surrounding hard and soft tissue. Highly specialized team will be strictly dedicated to you and treat you with a smile. The goal of the practice is to provide the best dental services in all fields of dentistry, with quality coming first. The practice provides top quality service based on knowledge, experience, excellence and good will, using the highest quality dental materials and equipment. With 20 years of experience, dental office Švajhler today enjoys the reputation of one of the finest dental practices in Croatia. 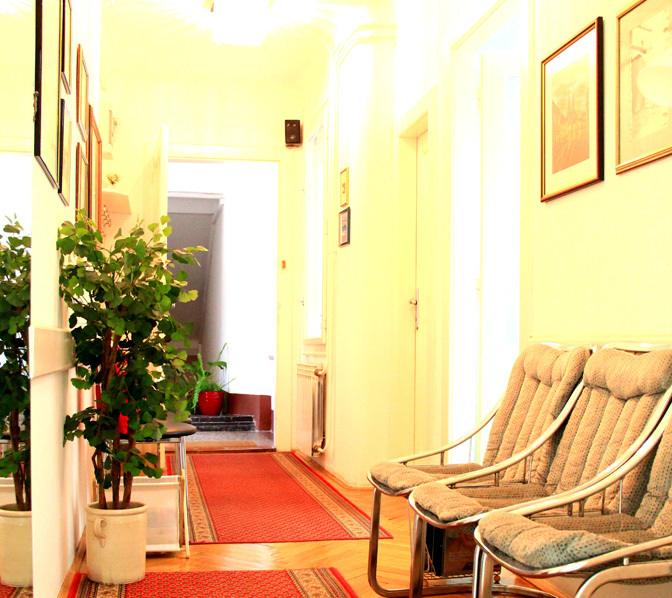 The dental office is located in the very „heart” of Zagreb, the capital and largest city of Croatia.